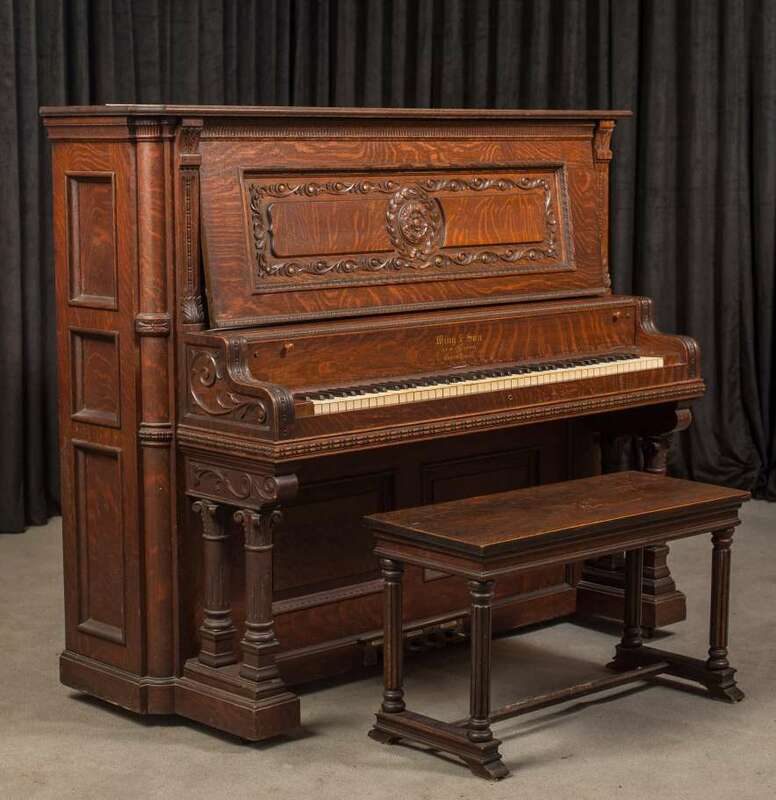 Located in Friendsville, Tennessee, the Antique Piano Shop is a team of passionate artisans and craftspeople, lead by founder Michael Stinnett, that have been restoring pianos and preserving memories for more than 25 years. 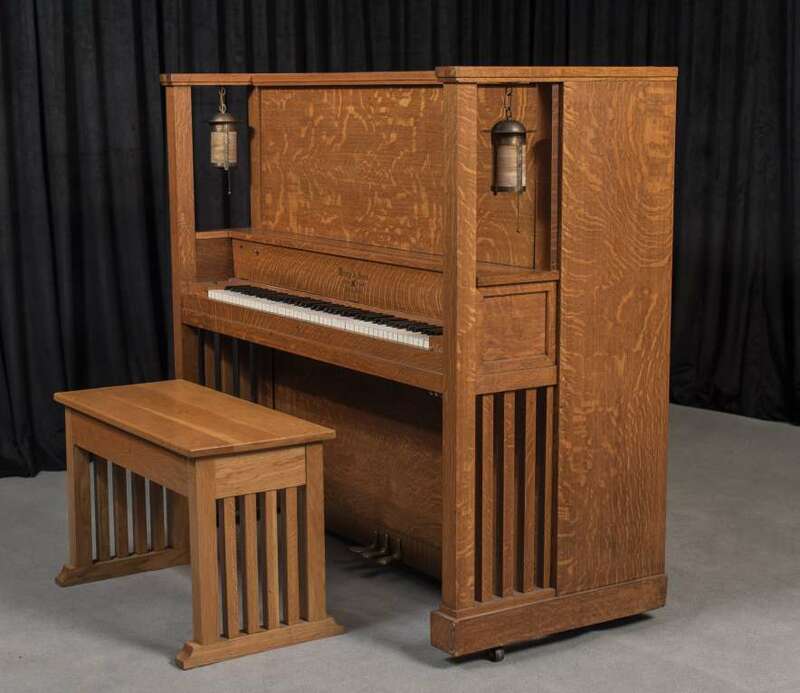 The journey for Michael (above, as a young man) began at the ripe old age of three years old when, as his parents recall, he climbed up to the family piano and began teaching himself to play. 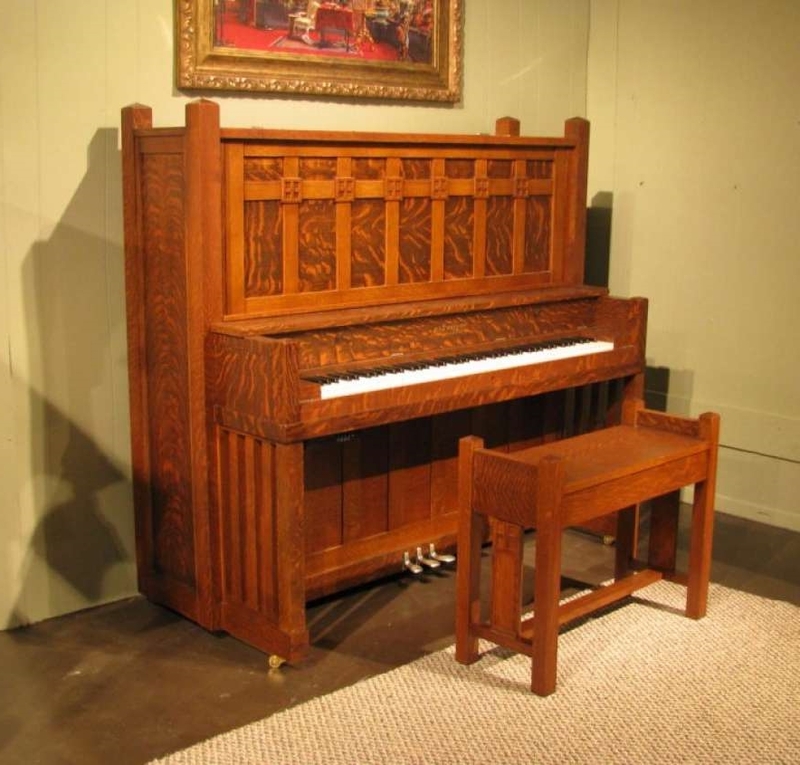 He was later found to have been gifted with perfect pitch and quickly became known as a child prodigy, performing regularly at school, family, and community functions. This early success was exciting, but also bittersweet, as Michael’s business aspirations ultimately overshadowed his desire to perform. 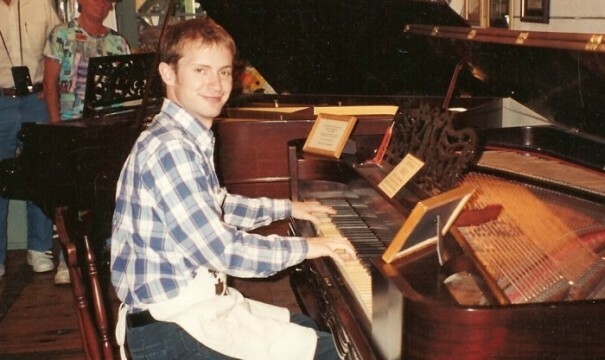 “I ended up forfeiting my degree as a piano performance major to go into the piano business.” That business became a fixture in the Craftsman’s Valley at Dollywood for 10 years and allowed Michael to cultivate a customer base on a national level. 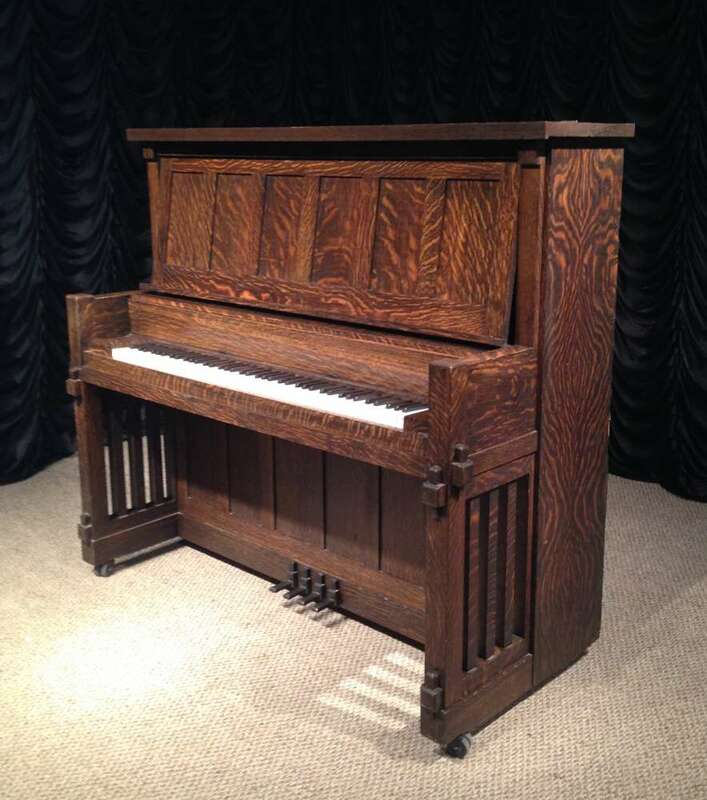 With all of the knowledge he’s gained over the years, both as a prolific piano player and a highly-skilled technical artisan, Michael’s approach to his work always comes back to his love and adoration of the piano itself, and the warmth and pleasure that the instrument can bring to any household. 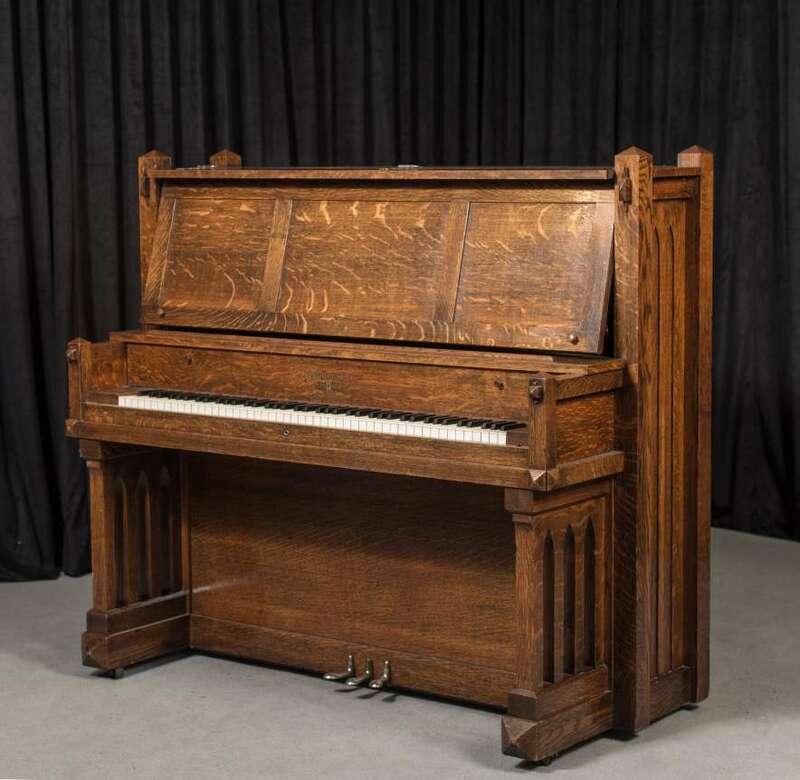 “My first and foremost desire is to promote the restoration and preservation of antique pianos and related instruments,” he says. 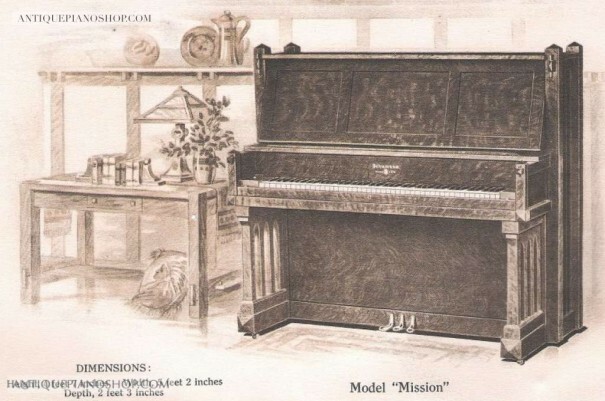 “Much of my life has been spent studying and collecting information, catalogs, and ephemera about 19th and early 20th Century piano makers. 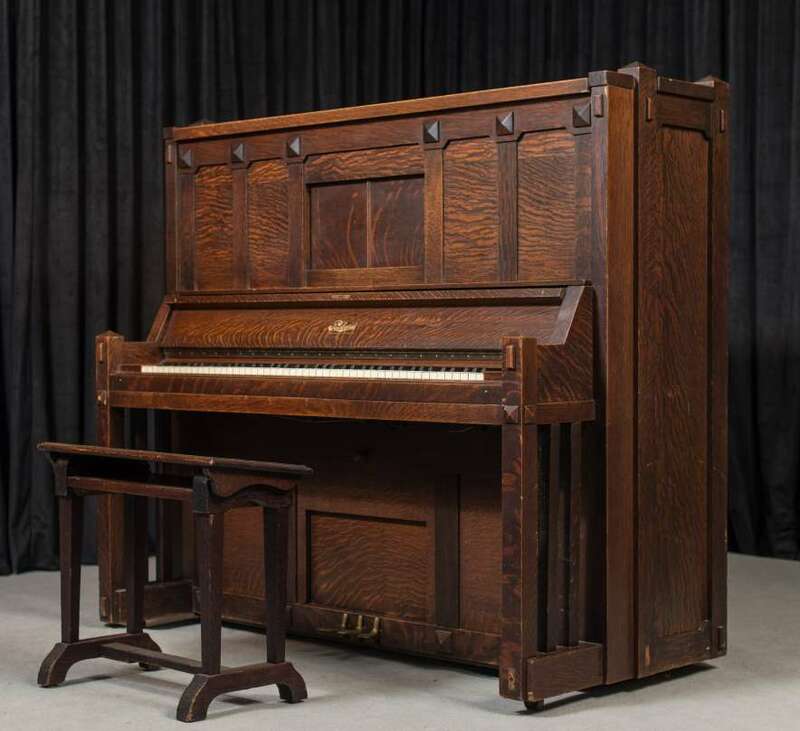 My two hands have been involved in hundreds of rare and historic piano & organ restoration projects over the years, and my goal is to take my experience and knowledge and share it with my clients so that these irreplaceable instruments will not be lost forever. 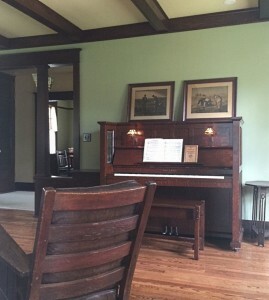 If past accomplishments are any indication of future successes, Michael and his team are poised to continue their restoration and preservation efforts for years to come, with countless past and future customers benefiting from their exceptional work. 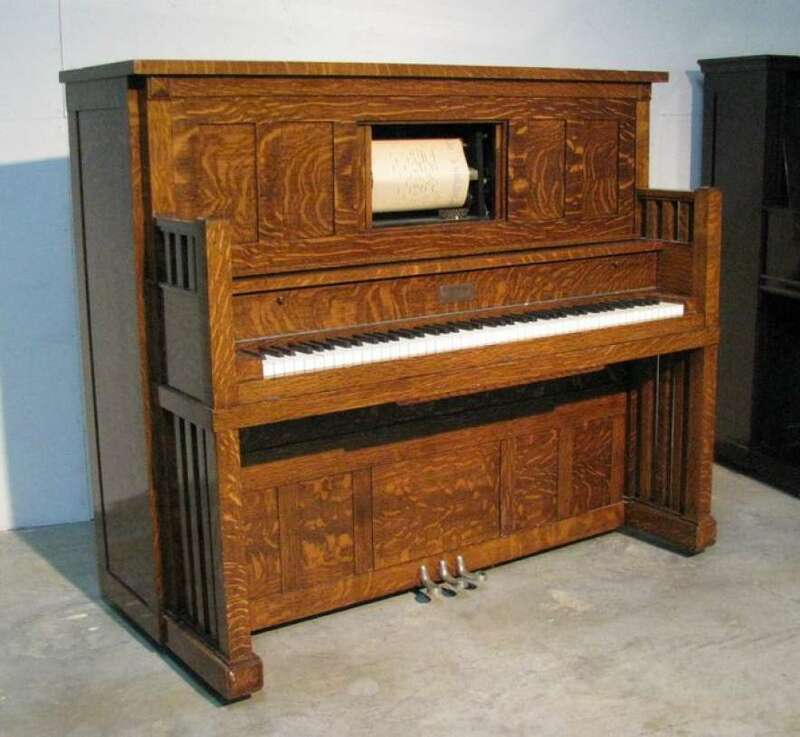 So if you have an antique piano that you’re considering having restored, or if you never even knew your piano could be restored, The Antique Piano Shop can address any and all questions that you might have. Or if you’re just interested in seeing their amazing collection for yourself, I would highly suggest that you check out their Online Showroom. 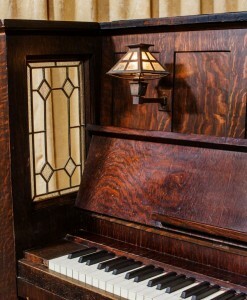 “The Craftsman Spotlight” is an ongoing series where artists, craftspeople, and their businesses are featured. 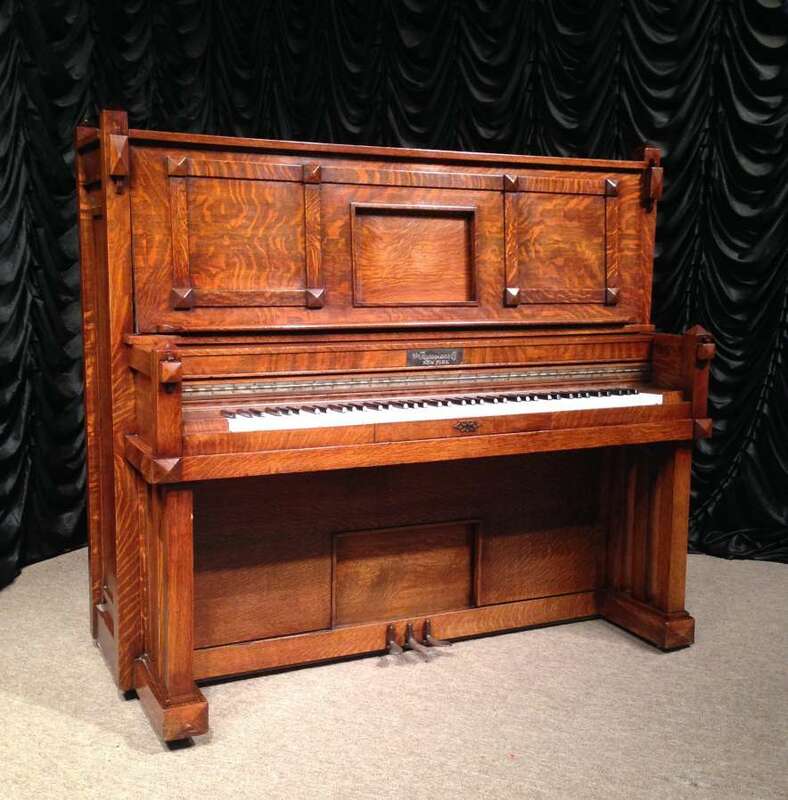 This time, we’re thrilled to spotlight Antique Piano Shop! If you’re interested in featuring your business with The Craftsman Bungalow, please click here for more information.